The Henley Symphony Orchestra and guest conductor Stephen Ellery were at Reading’s Concert Hall last Sunday, pairing opera and song somewhat surprisingly with Danish composer Nielsen’s Sinfonia espansiva. The slow opening to Beethoven’s Fidelio overture was tough on the horns and, although clearly on the line, they coped well. Thereafter, there was no stopping the orchestra’s momentum as its full resources drove Beethoven’s dramatic preface to his opera with an energy that remained undiminished right up to the final chord. 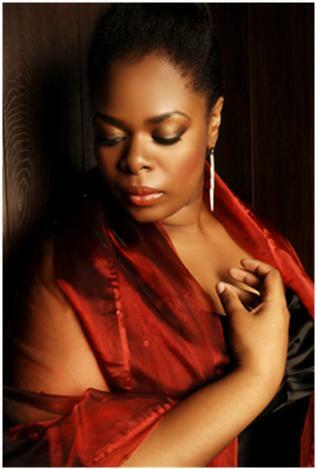 The operatic thread continued with the arrival of award-winning soprano, Sarah-Jane Lewis. Her mellow, unpretentious voice and its unbelievable range wowed the auditorium in Mozart’s aria Come Scoglio from Cosi fan Tutte. More followed in Wagner’s Wesendonck Lieder, a setting of five poems by Mathilde Wesendonck, each permeated by sorrow and suffering to mirror the romantic feelings she shared with Wagner. The orchestra played its part with an excellent solo from leader David Burton, some satisfying viola/cello passages and well-crafted interjections from woodwind and brass. And if at times the orchestral scoring (noting that Wagner’s original composition was for piano) threatened to overwhelm the soloist, her reserves pulled her through. She is clearly a formidable talent with yet more to come from what is still a relatively young voice. Nielsen’s Sinfonia espansiva was a revelation to those unfamiliar with it. It put him on the international map a hundred years ago, and with good reason. At every turn there was an overriding sense of the composer’s full-blooded affirmation of life. The four movements were manna from heaven to every section of the orchestra, which they consumed with clear relish. From the opening whip-cracking bars their performance was several notches up from a predominantly supportive first-half role. Frequent Bruckner-like fanfares gave the brass their head. The woodwind were exceptional, especially the oboe and flute principals, and there were many dynamic fugues led by the strings, enabling Nielsen to push the envelope, producing layer-upon-layer of climaxes and a riveting finale. The inclusion of solo soprano and baritone parts (Sarah Dacey and James Oldfield) in the second, idyllic movement was a magical touch. We look forward to more of the same in HSO’s Christmas Concert in Henley on 14 December and their 2015 spring concert at the Hexagon on 22 March. For details see henleysymphonyorchestra.co.uk.